Coach Harnden begins with the pre-competitive phase of coaching sprinters. The first six weeks deal with general conditioning, including hills, cardio and plyometrics. The workout week is broken down day-by-day with specific drills and exercises. The second phase of pre-competitive work is based on weight training, technique and speed work. The competitive period starts in January. The training schedule should work backwards from the major competitions. Harnden believes in race simulation in the 200 and 300 events. The Championship cycle is the outdoor season broken down into two periods that builds up to the final meet. Weight lifting is an important component for training the complete athlete. Harnden presents his philosophy on how weights can enhance strength and a base for your athletes. 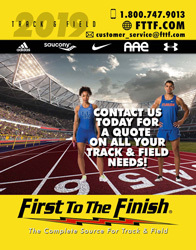 He includes a comprehensive movement warm-up plan that is broken down into four parts: jogging 800 meters, hurdle drills, active warm-ups and a stride session. 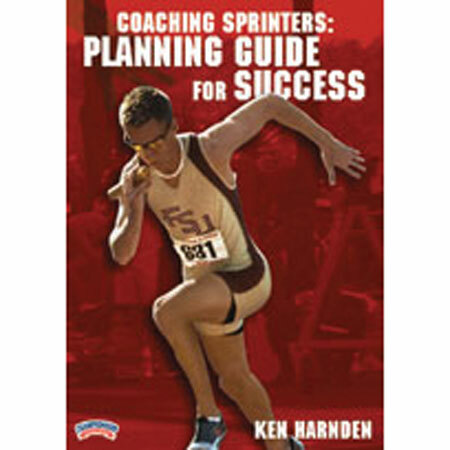 Harnden also covers drills, sprinting technique, a cool down program and goal setting.